Technology is really starting to get out of control and a new deep learning tech is pushing the boundaries of Nicolas Cage and his acting abilities. Like a lot of tech that is developed and fine-tuned over the years, this deep learning software was first used in the pornographic realm. People with way too much time on their hands take female celebrities and basically copy and paste their faces on to X-rated videos with shocking accuracy. And now, that very same technology is being used to put Nicholas Cage into any movie role. Nicholas Cage is already one of the most famous memes and that popularity just received a huge boost, thanks to the deep learning software. People have been scanning a bunch of pictures of Cage's face into FakeApp, which then is able to map the actor's face to another face, imagining what it would look like through the deep learning technology. So, what do we get? 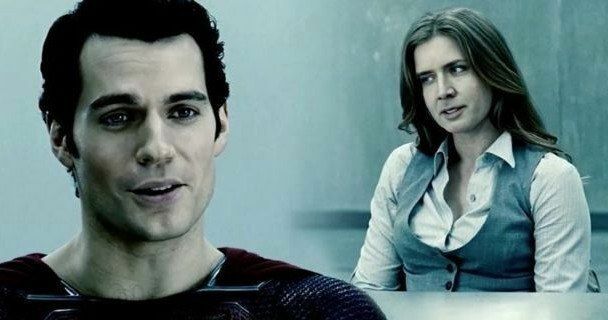 We get Nicholas Cage starring opposite Henry Cavill's Superman as Lois Lane. In a few other gifs, we get to see Nicholas Cage as Indiana Jones, in place of Harrison Ford placing the Staff of Ra. Then there's the famous action scene in Terminator 2 when John Connor comes face to face with Arnold Schwarzenegger's T-800 and Robert Patrick's T-1000, but this time it's Nicholas Cage. These short clips are not only pretty funny, but shockingly accurate as well. Even Cage's face pasted on to Andy Sandberg's face while doing a Cage impression, while sitting next to the real-life Nicholas Cage is impressive. This technology is being used for some humorous purposes and some not-so-nice purposes at the moment, but it could lead to a bigger problem down the road. The technology is really, really good right now, but it will be even more powerful in the next few years, which could lead to video evidence being a thing of the past. The new app has already gained popularity and it makes it to where nearly anybody with some basic computer skills can do it really quickly. This could turn into a problem when "fake news" is already a large part of our culture. For now, we'll just have to sit back and check out some of Nicholas Cage's greatest new memes of him starring in any movie you can think of. There's also a new sub-Reddit for the FakeApp, if you want to see more of Cage as Lois Lane, Indiana Jones, the T-1000, or just about anything else you can think of. The results go from pretty amazing to really crappy, depending on the ability of the user, but even the really crappy ones have their charm amongst the sea of Cage. You can check out some of the best Nicholas Cage face offs below, courtesy of Wojack's Twitter account.